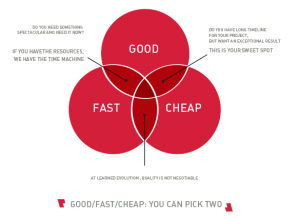 Every creative professional like designers, writers, artists, etc. have faced creative blocks. So what is a creative block? it is the inability of a person to access his/her flowing stream of inspiration and creativity. 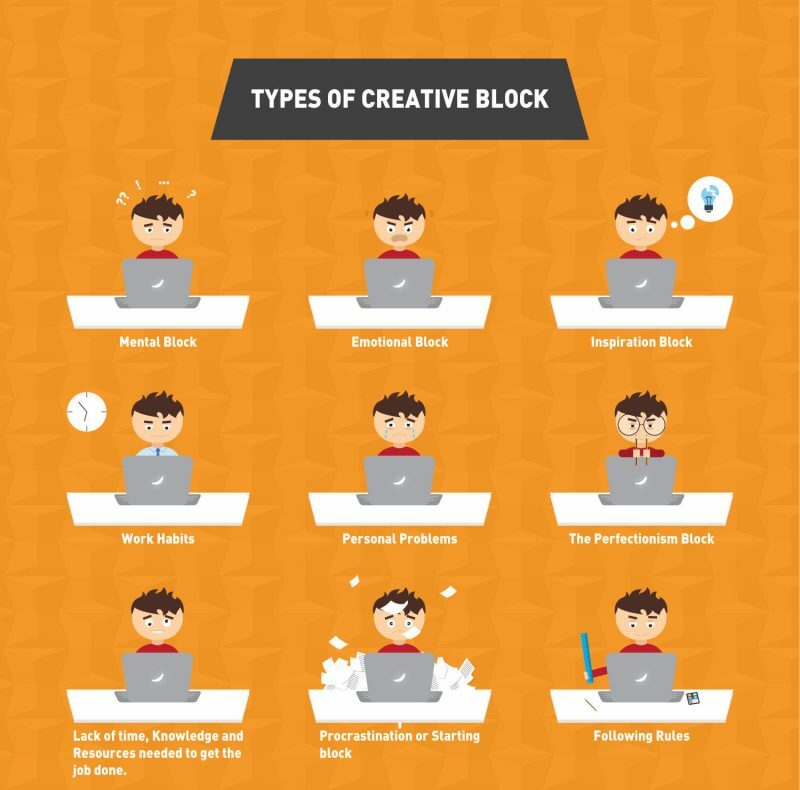 Creative blocks are of different types, it may be a mental block- you will fail to see other options and always think in a particular direction, Work habits like working too late may also could also lead to creative block. Personal problems, lack of inspiration, fear of experimentation on new ideas and tactics, lack of time and knowledge, procrastination and perfectionism are other factors that play a major role in not being able to think new. Everything in this world has a solution and thankfully so do creative blocks. A short break, a coffee, working in different environments, listening to music, travelling, visiting exhibitions, museums, galleries for inspiration, meditation, take naps, have fun, brainstorming, jotting down points and ideas in your diary etc, are proven methods to overcome a creative block.